The family of 27 year old Justin Reygers, who died following a collision in Old Basing on January 14, have issued the following statement in tribute to him. 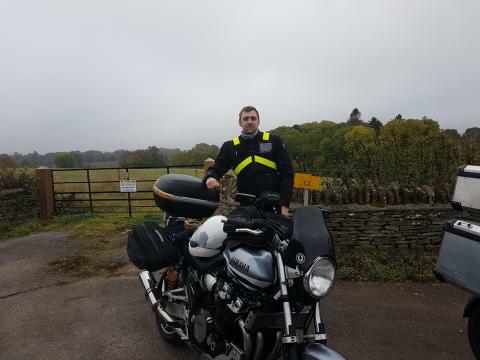 Justin, of Gilbert Close, Basingstoke died after his red Yamaha motorcycle was in collision with a white Skoda Superb at around 5.20am on Monday, 14 January, on the A30 at the junction of Ashmoor Lane. The driver of the Skoda, a 56 year old man from Basingstoke, was arrested and has been released under investigation. Officers are still appealing for any information about the incident. If you can help, please call 101, quoting Operation Bowl. Officers are still appealing for any information about the incident. If you can help or have any dashcam footage, please call 101, quoting Operation Bowl.